COMMANDER® III - Iowa Mold Tooling Co., Inc. : Iowa Mold Tooling Co., Inc.
Get your customers up and running faster than ever with IMT Commander® series over-the-road (OTR) tire trucks. Designed to survive punishing off-road conditions, they include our powerful TireHand® tire manipulator, lots of storage, and a compressed air system. Tire dealers are among the most frequent users of the Commander® III. 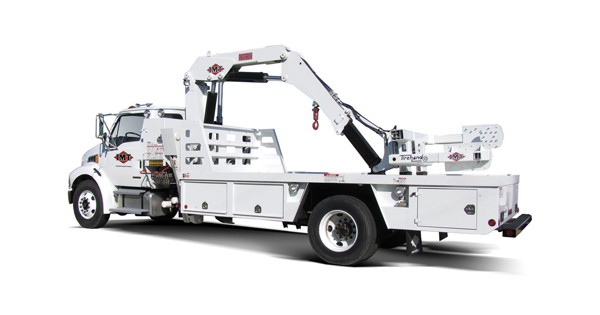 Designed for 33,000 lb GVW chassis (19′ Commander® III available on a tandem axle chassis up to 56,000 lb GVW).